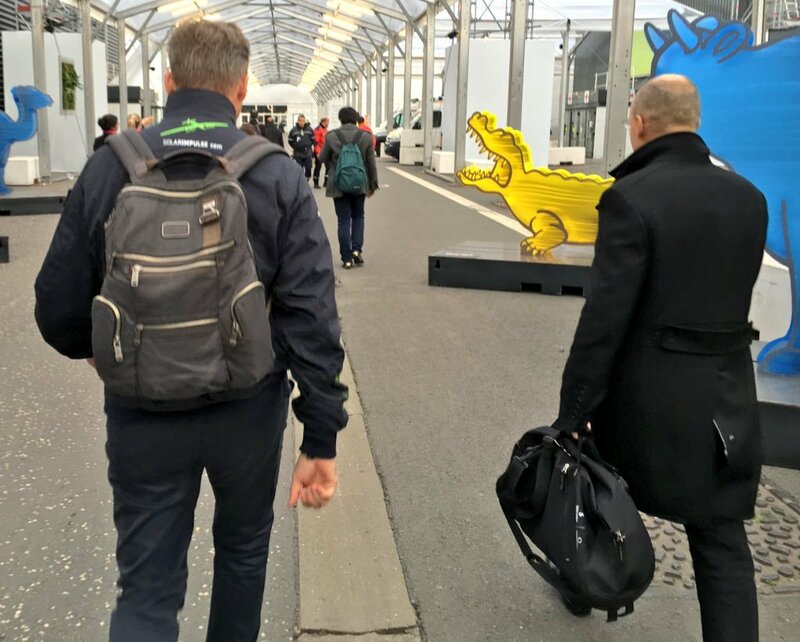 Agents 001 and 002 of the #solarTeam were sent by M (for those of you who don’t know who that is, check it out here and hit the movies NOW) to the COP21 climate conference to report on and spread clean solutions. It’s Day 2 and M is impatiently waiting for them to communicate on their activities. M: Gather around team, I’m getting a call from Agents 001 and 002! Agents 001 and 002: Hello? M: Hi Agents 001 and 002, I’m putting you on speaker. M: So tell us, what’s been going on at COP21 today so far? A: We didn’t have time to report this yesterday, but Bertrand Piccard’s interview on BFMTV(French speaking) went well. When he wasn’t talking, he spent a lot of time nodding and smiling at Barbara Pompili, a French green party deputy who was on screen with him, as they were in complete agreement on almost everything. At one point she declared that “ecology brings solutions and energy efficiency is common sense. Insulating houses properly for example avoids a lot of waste, reduces energy bills, and creates jobs”, which is what Bertrand has been repeating from the beginning. M: It’s great to see that there are decisions makers that are on the same page as us! And did your day start well? A: Yes very: this morning Bertrand and André were live on Periscope and it was pretty neat to see our followers greeting us from all over the world and all those little hearts popping up everywhere. We’re sending you the videos right now. A: We also bumped into a “wind tree” at the main entrance of the conference. It’s a wind-powered system in the form of a tree, whose revolving leaves act as mini wind turbines and keep electricity generators turning. At night it’s used to power the LEDs which light up the the forest of flags from all countries. We’re not sure it could really be used in everyday life, but it’s got an original design which catches people’s attention and gets them asking questions about renewable energies. 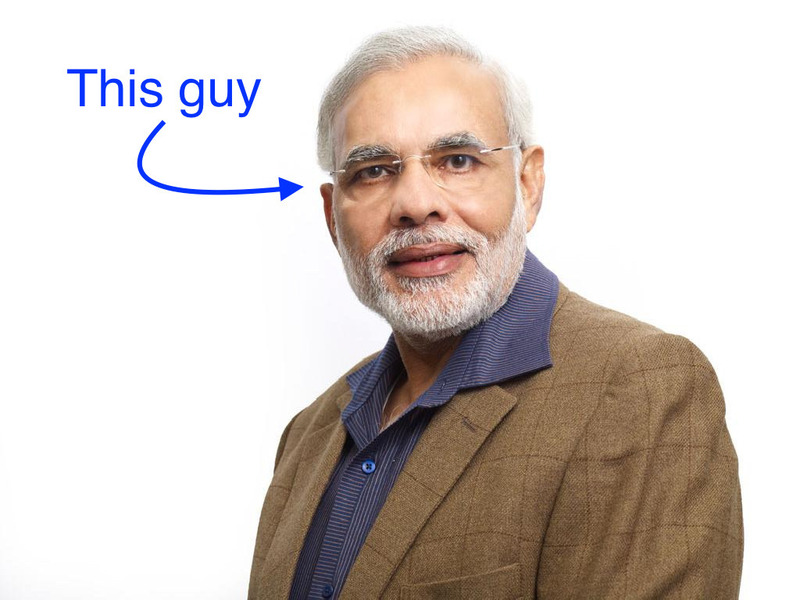 M: Well yesterday, India’s prime minister… what’s his name again? A: Narendra Modi, come on M! M: Yeah him, launched an alliance of over 120 countries with the French president, François Hollande. The idea is that larger markets and bigger volumes will lead to lower costs, making it possible to spur demand, and to bring affordable solar power to communities worldwide. A: Major initiative, we’ll keep our ears open then. We have to say that we’re a bit disappointed with this second day of the conference. We were hoping to have lots of concrete solutions to report on, but there was still a lot of running around and political talk. M: What if we just presented the best solution from futureisclean.org/solutions? That way people can learn about something that will help them tackle climate change. A: Yeah, that would definitely be a good idea. M: Let’s see what we have here. The solution with the most votes is “Instead of always focusing on producing more energy, let’s save energy by implementing the most energy efficient devices existing today”. A: We could show them how equipping their house with solar panels could reduce their energy spendings, no? A: Wow that’s impressive! We really should install solar panels on our roofs Agent 001. I could finally have the cash to take a trip to Mexico for the Day of the Dead. Super calculator: Glad I could be of service. M: Thanks for reporting back to us Agents 001 and 002. Enjoy the rest of your day and we’ll be in touch again tomorrow. A: Thank you and good luck with writing the daily blog!